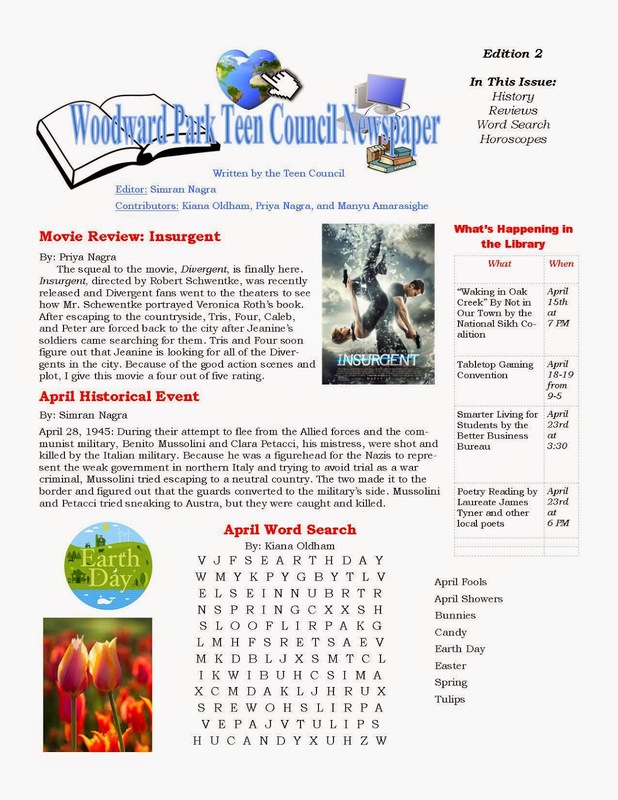 The Teen Council at Woodward Park Library have started a monthly newspaper! 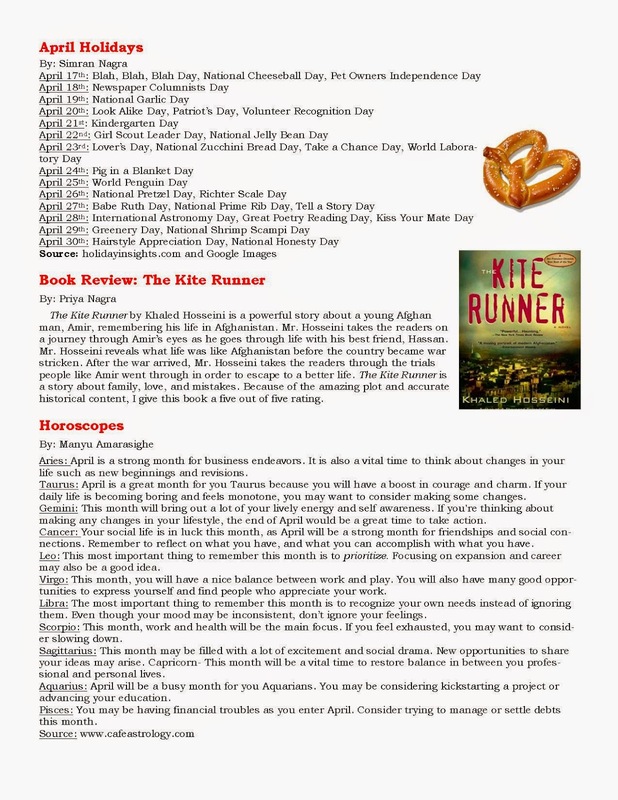 Below is the edition for April. Check it out!